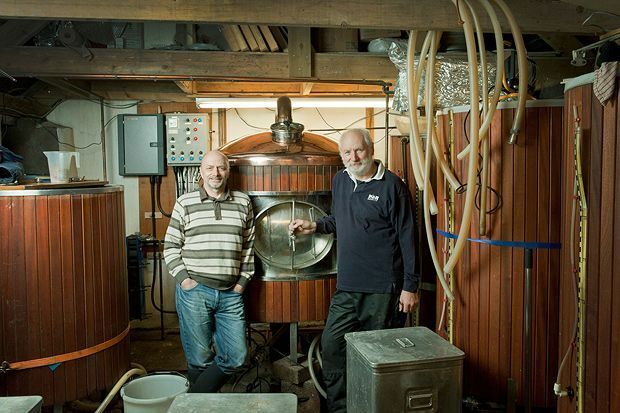 Created by former lifeboat coxswain Jim Hughan and his business partner Ross Niven in 2012 as a retirement project for the former, MòR Brewing (based in the village of Kellas, just northeast of Dundee) has expanded far beyond its creators’ original aim of setting up a two-barrel plant to supply local pumps. Within a year they’d doubled the size of the operation, and MòR now supplies bars in Dundee, Edinburgh and Glasgow, while pubs in English cities including Nottingham and Bath have also taken orders. Read more about micro-brewing in Angus.